Cleveland RTX 4 wedge review: more control and improved feel in Tour-inspired head. Soft feel, heaps of spin, compact look. There aren’t a load of short game specialist golf brands, but Cleveland are one. While their competitively priced putters are popular and perform to a high level, it is perhaps their wedges they are renowned for. In 2018, the RTX 4 lands with new tech and a new emphasis on being a “Tour-level” club. Want to play what the best use? 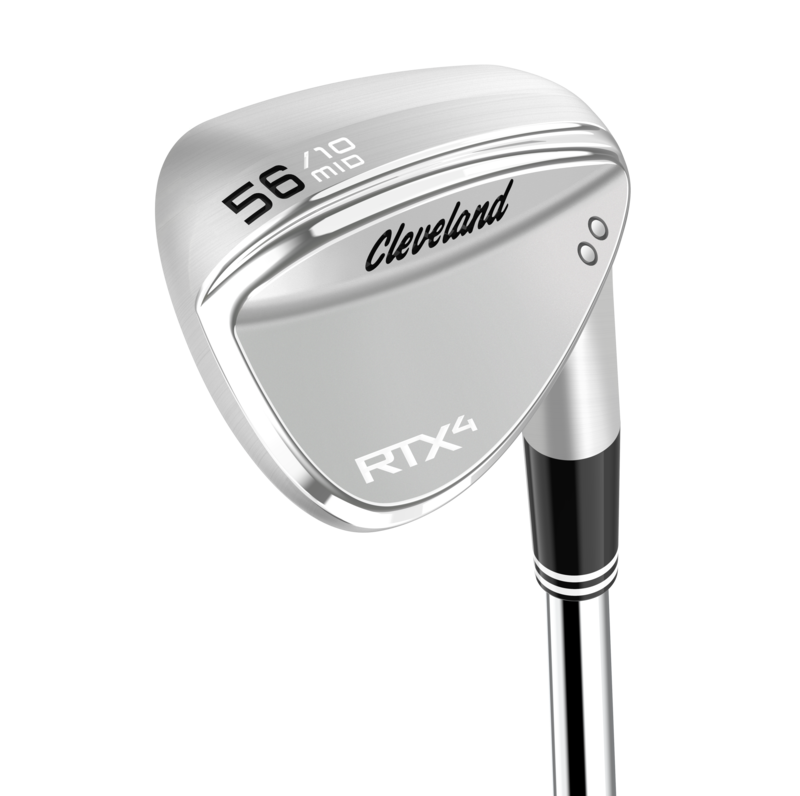 Pick up an RTX 4, say Cleveland. Slightly more compact, with less offset. Better players will love its look. All the finishes are stunning. Slightly softer than the RTX 3. We found we were getting more response as well. A wonderful feel. High levels of spin from the fairway, as expected, but we were surprised that we were also getting decent control from the semi rough as well. The new sole grinds suit players that like to play with a straight bat, or those that like to manipulate face angles. The turf interaction is excellent, with the club getting through the shot with ease, promoting a crisp strike. Out of the bunker we were able to open up the face and get some serious hang time and zip on the ball. Offered us more control and an improved feel compared to previous versions. This is a superb wedge for the low handicap golfer, up there with the best on offer. We enjoyed the improved feel, and there's heaps of control. Just what better players want from a wedge. Head to the Cleveland website for more.